At Perth on end of day 4 – Australians are close to having their hand on the urn - 5 wickets away for 3-0 as England need 253 more runs to win this Test. The cracks have opened up ~ and Ben Stokes and Matt Prior would find hard to survive…. 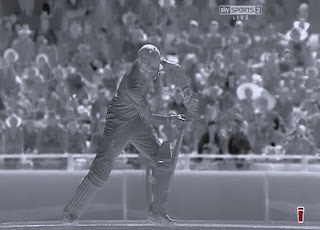 Another Test marred by technology and poor umpiring …. England would remain "bitterly disappointed" by the controversial dismissal of Joe Root which tilted the balance of the third Test at the WACA on Saturday. Root walked off the WACA shaking his head after a marathon third umpire review saw him given out caught behind off what the umpire Marais Erasmus believed was a feathered edge off Shane Watson. When India and Dhoni opposed DRS – everybody else ridiculed them but in the Ashes at England, there were questions raised on DRS and they now say that technology is not totally credulous … this series had been progressing smoothly at least as far as DRS was concerned ~ England would rue now with that dismissal of Joe Root, the inform batsman who was keen to follow his earlier 87 at Adelaide………. The Yorkshireman had only scored four runs when Shane Watson got him to play at one outside off-stump to a ball which was taken by wicketkeeper Brad Haddin. He was given out caught behind by umpire Marais Erasmus. 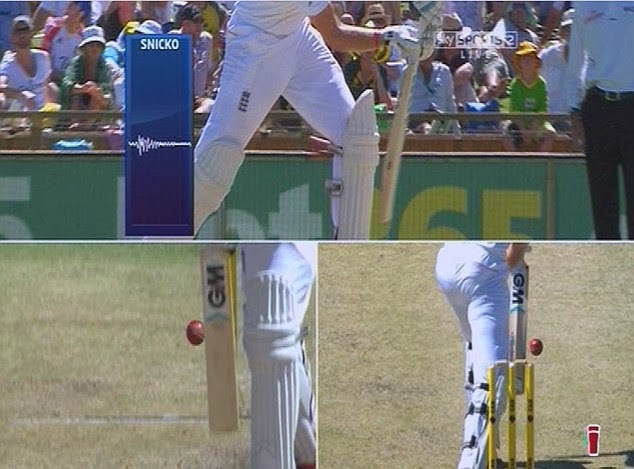 Root immediately asked for a review, which only added to the uncertainty over whether he had actually hit the ball. There was no mark on Hot Spot and although the real-time Snickometer registered a sound, it appeared to be after the ball had passed the bat. Whatever it be, third umpire Tony Hill believed he did not see enough evidence to overturn the on-field decision and a livid Root had to go. Real Time snicko is not part of the basic DRS model and is being used in this series as an add on following an agreement between Cricket Australia and the England & Wales Cricket Board. 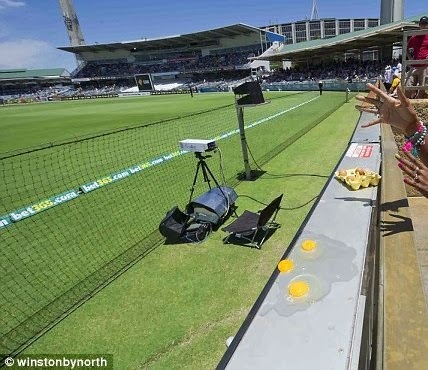 Geoff Allardice, the ICC general manager, told assembled reporters before the first Test at the Gabba that the third umpire should inspect the frame after the ball has passed the bat due to the delay between sound occurring and reaching the stump mic. For the umpires to overturn an “out” decision there has to be a double negative: no mark on Hotpot and no noise on snicko. 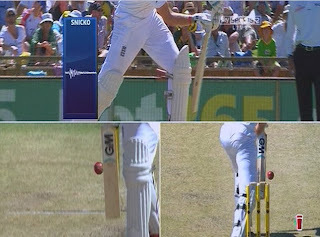 The worrying aspect for BBG Sports, the makers of Hotspot, is that, though it showed a small mark off the edge of Steve Smith's bat when he was out, it did not show up a mark on Root’s bat. Heat is known to hide the friction on the bat and BBG have admitted in the past the faint edges from fast bowlers are harder for Hotspot to detect but easier for Snicko to identify. Where snicko becomes unreliable is against spin bowlers when the noise of the wicketkeeper standing up to the stumps confuses the evidence. Alastair Cook with that zero in the 2nd innings is finding himself lot in comparison with Kim Hughes who left with tears in that Ashes 1981. Hughes those days had issues with seniors Dennis Lillee and Rod Marsh. More than Cook’s heat… Daily Mail suggests that WACA itself was hot… The ground has little cover for supporters who were seen squatting in flower beds on the first day desperately looking for shade in 39C heat. In total 36 fans on the first day were treated for heat exhaustion with four going to hospital. Now after the loss, England would concentrate more on the DRS and Hotspot and the technology as also on that Umpire who marred them during the series back home recently…. Tony Hill who was reported to be a shocking on-field umpire at this level - they banished him upstairs sent him to TV room and it's shocking there too. Anthony Lloyd Hill, commonly known as Tony Hill, is an international cricket umpire from New Zealand. He is currently a member of the Elite Panel of ICC Umpires. He first stood in an ODI in Mar 1998 and was elected to ICC Elite Panel of umpires in 2009. During that Ashes tour there were reports that he was contemplating stepping down from international umpiring when his deal expires next year, by which stage he will be 63 ~ and British press reported that, that decision may well be taken out of his hands anyway given the mistakes he has made in the series, which include five that have been overturned by the Decision Review System, more than any umpire during this Ashes. Though England may not have felt comfortable, Hill had to be there – and now Billy Bowden has also found his way – as there are only four umpires on the elite list able to officiate in the Ashes because the other eight are either English or Australian. There has not been an Indian umpire on the elite list since 2006 when our brilliant Srinivasan Venkatraghavan retired.